Some months ago we asked our testers to try out Little Herbal’s Kuswera Zuro – a soft moisturiser whose key ingredient is African potato tuber, said to be good for inflamed or damaged skin, including acne rosacea. 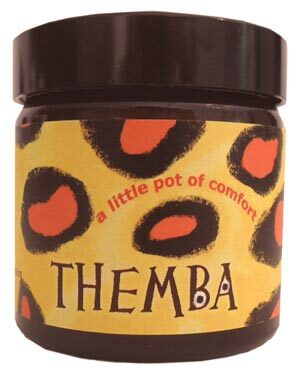 Another Little Herbal product, Themba, also caught our eye. This is a cream formulated from the fruit of the kigelia africana tree, used traditionally for dry, damaged and problem skin, including eczema, psoriasis, cold sores, verrucas, burns, bites – and acne. Its other skin-beneficial ingredients include aloe, calendula, wheatgerm oil, lavender and vitamin E.
We asked two testers – regular Jacqueline, and new tester Grace of All That Slap – to give it a trial for their acne issues. Here are their thoughts. “The fragrance of Themba was a little ‘antiseptic’ but was not at all unpleasant. The product was in a really cute little pot with a lovely label. It was easy to apply, though the instructions that came with the product suggested that there would be more benefit if applied after the application of a few drops of tea tree oil diluted in warm water to the skin as an anti-bacterial. I did this for a few weeks but it became too much of a palaver so I took to just using the Themba on its own, morning and evening. 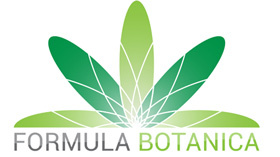 “The labelling didn’t state that it was 100% natural, which I look for. My sample arrived with some literature reassuring me about its ingredients, but I’m not sure this is something which would be sold with each pot. I am increasingly more befuddled by ingredients: I don’t understand which ones are natural any more so rely on the packaging to tell me. “The texture of Themba was a little thick, so it was not all that easy to spread onto the skin. Once it was applied it didn’t seem to sink in too easily for me. I think the fragrance, although natural and herbal, was quite strong and I found it a little off-putting. However, I liked the fact that the ingredients are natural and none were a concern to me. I try to avoid mineral oil and parabens and so the ingredients were appealing as they are natural. “I didn’t like that you have to apply the product a number of times a day for it to be effective, especially since I wear make-up. I’d prefer something that you can just apply once or twice a day (morning and evening, for example). I did like the fact that it is a multi-purpose product. “Initially I found no different to my skin in using the product: maybe just a tiny bit red where I had applied it. I then felt that there was a mild improvement in my acne after about 10 days or so. However, over the course of the month I feel that it had little effect on my acne, which is a shame as I was optimistic when I started the treatment. 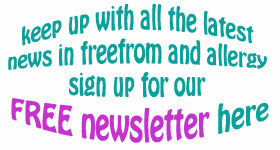 Themba is free from steroids, antibiotics, perfume or parabens. It contains wheatgerm oil. Some labels may mention Solbrol M & P (which indicate parabens) but we have been assured by Little Herbal and their chemist that this is a design error and the product is parabens-free. 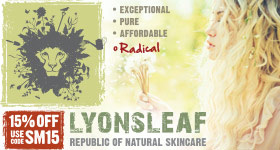 It retails at £22.50 for 60ml and can be bought via the Little Herbal website.